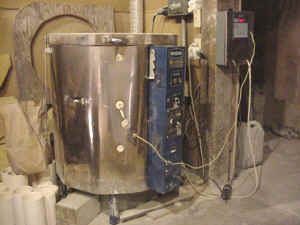 Above is a Cress Kiln with Firemate Control. Above is a smaller Cress Kiln under repair. 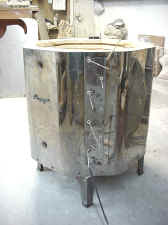 Above is a Paragon Kiln under repair. 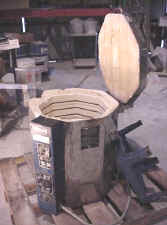 I offer repairs to kilns, potter’s wheels, pug mills and all types of machinery. Even if no schematic is available, I can often help trouble shoot by phone for $1.00 per minute with a $5.00 minimum charge. If you bring the equipment in, I charge $1.00 per minute shop time with actual billable time only charged or $50.00 per hour, whichever is less. The minimum charge is $5.00 with items brought in. All work is guaranteed for 90 days.